Special Offer Special discount is offered to direct client(those who contact directly) from above rate. 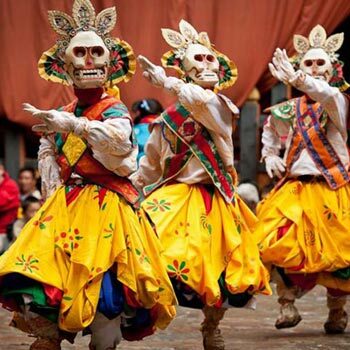 Your Guide from Exotic Vacations Bhutan will receive you at the airport and drive you the short distance to the hotel. Thimphu Sightseeing: (Altitude 2320 m). Dinner and overnight in Punatsangchhu Cottages or similar. Wangdiphodrang Dzong razed by fire in 2012, (from outside) built in 1638; under construction now. After lunch, drive to Bumthang. Dinner and overnight in Hotel Swiss Guest House or similar. 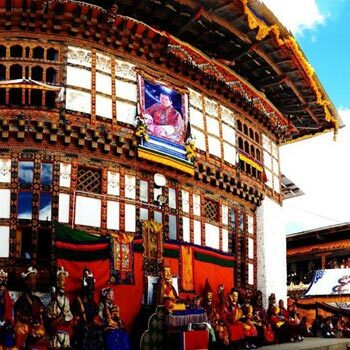 Bumthang: (Altitude 2800 m.) Attend KURJEY LHAKHANG TSHECHU whole day. Dinner and overnight in Hotel Swiss Guest House or similar. 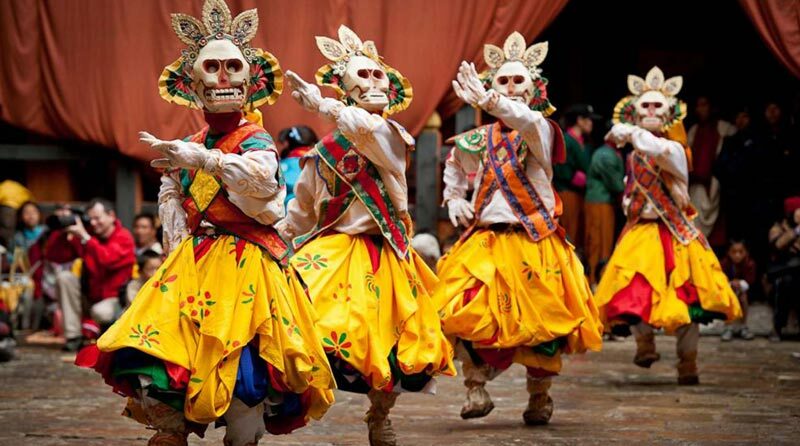 Tamshing Lhakhang (Temple of the good message) – founded in 1501 by Terton Pema Lingpa, the re-incarnation of Guru Padsambhava. Dinner and overnight in Swiss Guest House or similar. 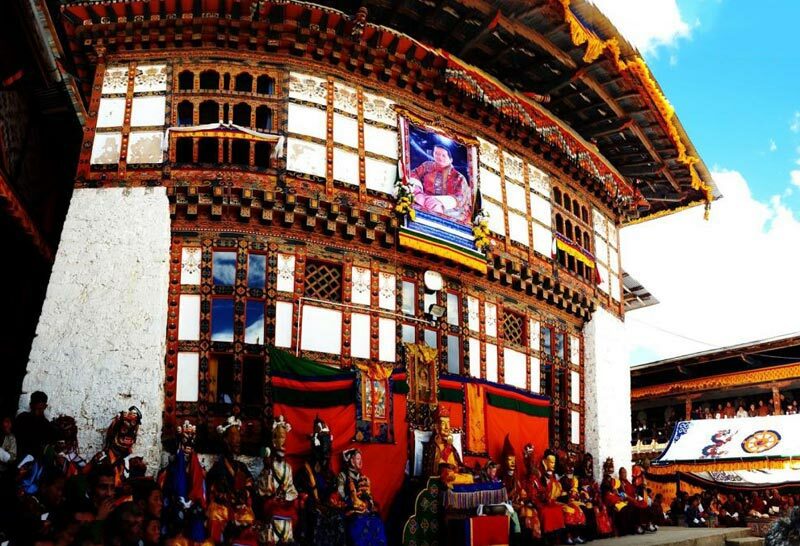 Bumthang – Thimphu (212 km): After early breakfast, drive to Thimphu. Dinner and overnight in Hotel Migmar or similar. The Tallest Statue of Buddha. Hike to Drakarpo. Picnic lunch will be served. Departure: (Altitude 2280 m) Early morning, drive to Airport and Farewell. Date : 23rd June, 2018.